At the tender age of 3, Molly knew she had a passion for animals. She rode her first pony while on vacation in Arizona and was hooked! She’s consistently ridden since that time owning three Morgan horses. Learn more about Molly Brackett here! 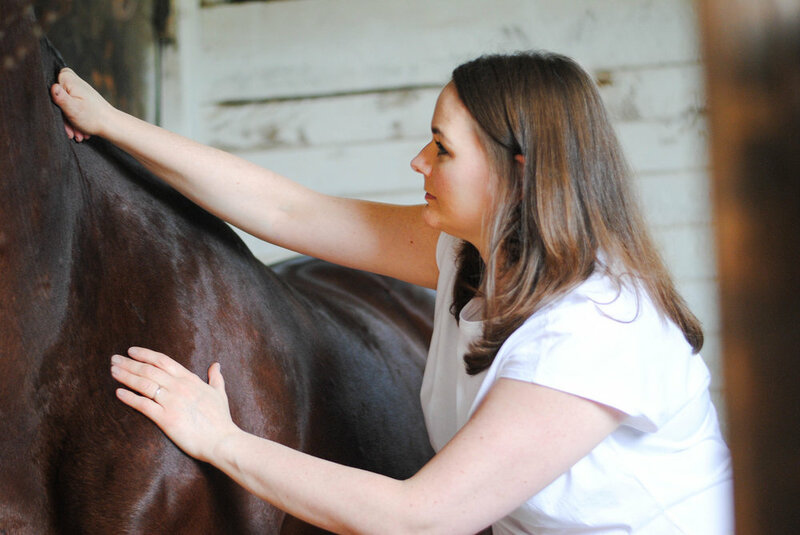 During a few years away from riding, Molly was creating excellence within the manual therapy and integrative healing field while building her business Body Restoration. While back in Arizona in 2015, Molly was on a hike wondering how she could combine ten years as a manual therapist, her love of animals and spend more time outdoors. It was then, Equine Restoration was born and has been providing equine structure integration since that time. Request a time to visit Molly for an evaluation for your horse and learn more today! I’d love to discuss your health and wellness goals for you as an individual, as a rider or for your horse. I can work with both of you to reach optimal comfort, strength and performance goals.